Standley Feed and Seed is a proud supplier of Stand Alone Feed. 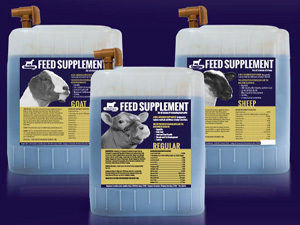 With many supplements for show animals on the market, we recommend StandAlone. Formulated with key nutrients and effective levels, StandAlone is specifically calculated for your animal to reach their genetic potential. The combination of 100% organic trace minerals and rumen protected vitamins benefits joint and hoof health, hair growth and quality, skin quality, fertility, and overall animal health. One of these yeast products benefit cell replication, which may help reduce stress, increase immune response, fertility, and overall development, can only be found in StandAlone. The yeast products we include have been developed and tested around the world to ensure we only use the highest quality and most effective ingredients. These ingredients may bind up harmful bacteria, ensuring a healthy digestive environment to keep animals on feed and converting feed to muscle and fat. If you have any questions about Stand Alone Feeds or other products we offer, then please click here to visit our contact page or stop in to speak with one of our Show Animal experts. We will be more that happy to answer any questions you may have. This entry was posted on Saturday, October 15th, 2016 at 9:11 pm	and is filed under News & Updates, Show Feeds & Supplies. You can follow any responses to this entry through the RSS 2.0 feed. Both comments and pings are currently closed.